Even in children’s sizes, traditional six-string guitars are too big for kids’ small hands. Loog solves this problem by creating guitars with three strings and a narrow neck, making it easy for beginners to play songs from Day One. 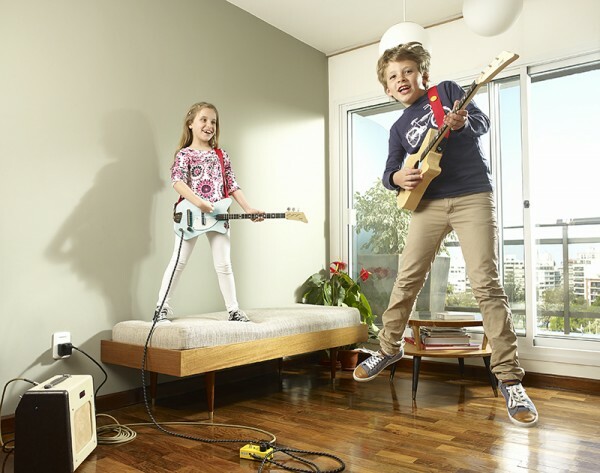 Loog guitars are starter instruments that make it fun and easy for kids to play music. They may be small, but they aren’t toys. They’re real guitars, made of real wood and they allow kids to play chords and songs. They have three strings, and tune and play just like a grown-up-sized guitar. Loog guitars are available in both acoustic (US$159) and electric (US$199) models. The acoustic version has all the elements of a big guitar: a maple neck, rosewood finger board, bone saddle and nut, and 18 frets so kids can solo just like the greats. The electric version looks like a cross between an 80s hair band guitar and a classic Fender Stratocaster. 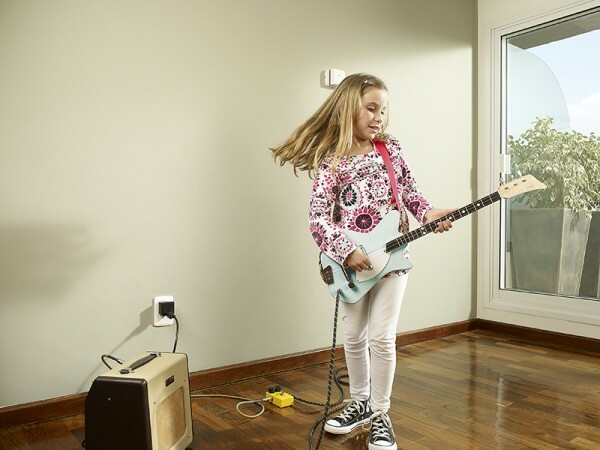 Kids can really shred on this guitar – it has a pick-up and plugs into an amp. Loog guitars come unassembled. Part of the experience of owning this special guitar is parents and kids building the guitar together – but don’t fear! Parents don’t need to be skilled craftspeople to build a Loog. It only takes 15 minutes. The guitars come with an instructional book with songs by The Beatles, The Rolling Stones and recent artists like Taylor Swift and Bruno Mars. There’s also an app with a tuner and video lessons that get kids playing real songs really quickly. Loog Guitars are available online and ship to Australia for $109.